Fan, follow BCN around the web! 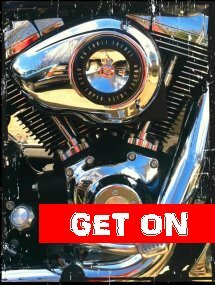 Been spending a little time lately setting up some tools to help folks find Biker Chick News in a few more places on the web. First, I created a Facebook Page, Biker Chick News. I like Facebook a lot for connecting with old friends and keeping up with everyone in my life. The blog’s “fan page” is a little different from my personal Facebook page – it’s designed especially to keep “fans” updated on what’s new at the blog, AND I’ve also enabled the “discussions” feature so if you want to ask a question or just start a topic for conversation among other “fans,” you can do that too! I’m also an occasional user of Twitter. Conan’s late-night scoffing aside, I found that twitter was really useful in my previous line of work. But, I was “tweeting” a combination of things from work and personal life, which I think was a bit confusing to the friends who were (are) following me. I don’t tweet much for work anymore, and most of my personal stuff is bike-related. So I decided to set up a new account under the name of the blog so the bike-related stuff I’m sharing would be associated with the blog. 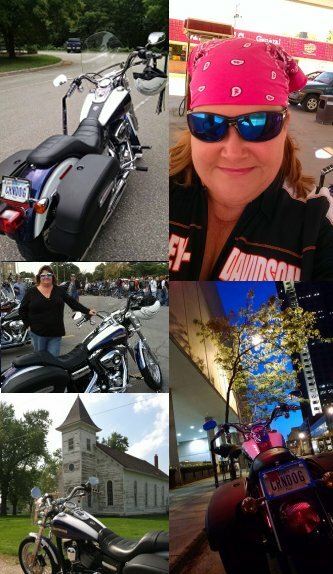 So, short version: if you use Twitter, you can follow @BikerChickNews and that will be me!